Football Association of Malawi’s (FAM) annual budget for national team engagements this year is pegged at K2 billion with the body admitting it faces a daunting task to mobilise the funds. The budget is contained in a report FAM presented on Wednesday to the Parliamentary Committee on Social and Community Welfare in Lilongwe after being summoned over Flames poor performance. The financial plan shows that the senior national team will consume K860 million while the Under-23 will need K450 million with the Under-20’s matches pegged at K70 million. Among other assignments, next month the Under-23 will play against Zambia twice in the 2020 Olympic Games qualifiers while the senior side will play Morocco in their 2019 Africa Cup of Nations Group B final game. 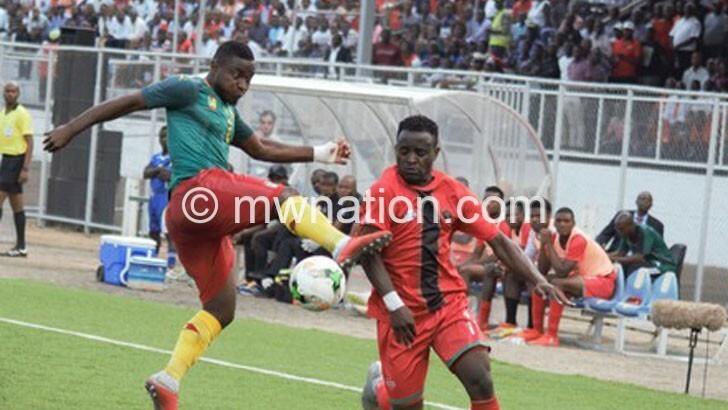 In April, the Malawi senior side will face e-Swathini in the 2020 Africa Nations Championship qualifying round while in May it will compete at the Cosafa Challenge Cup in South Africa. The senior team will later this year play in the 2022 World Cup preliminary round. The qualifying draw for the Qatar finals will be held in July. The Under-17 national team will absorb K400 million. FAM president Walter Nyamilandu explained that much of the funds will go towards hosting of the Cosafa Cup later this year. “Having won the bid to host the Under-17 Cosafa Cup this year, we will need a lot of resources to make it a successful event,” he said. The budget forecast puts women football activities at K150 million while beach soccer will need K70 million. Nyamilandu said FAM expects to raise K500 million from the K2 billion. “We expect government and well-wishers to help us reach our target. If that fails we will have to take painful decisions which may include removing women football and beach soccer programmes from the list,” he said. In the meantime, having exhausted their 2018/19 allocated from the Parliament approved national budget, Nyamilandu said they have a shortfall of K300 million for the upcoming games. “We need K500 million to fulfil the games that will come before Parliament approves the next budget in July. Fifa will grant us K150 million while FDH Bank will give us K60 million. This leaves us with a shortage of around K300 million,” he said. Nyamilandu said they are processing a requisition for supplementary funding from government. “Like always, when we are stuck we approach government for extra funds. We just hope that they will listen to our plea, otherwise, we will be stranded,” he said. Malawi National Council of Sports executive secretary George Jana acknowledged that FAM exhausted the funding. “FAM has not yet approached us to present their supplementary budget. Nonetheless, we will support them to get the funds,” he explained. Meanwhile, the Parliamentary Committee on Social and Community Welfare chairperson Richard Chimwendo Banda has asked government to be providing enough funds into national teams’ assignments.